I loved the footsteps trip that Myra organized for me and my family! It was so personal and worth every penny. We just followed her like ducks and didn’t have a thing to worry about. 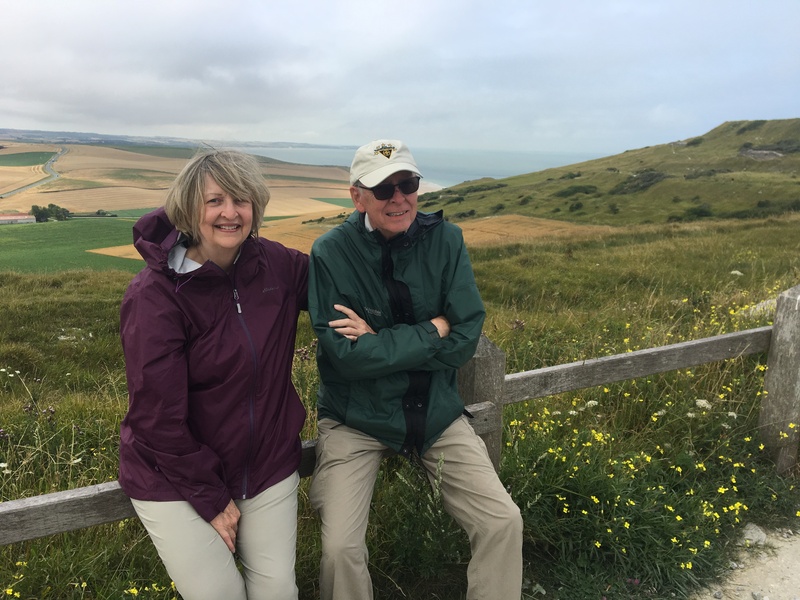 Not only were we in the area where my father had been, we were able to see some of the actual buildings associated with his position… like a French farmhouse that was used as a command center for his field artillery battalion in the early stages of the war. Also, the church bell tower in Meautis, France. This was where he and two of his men used the bell tower as an observation post only to have the enemy spot them and my dad used the bell ropes to quickly slide to the ground. My daughter and I stood on the spot where he landed. It was wonderful to see the area where my mother, a WWII nurse with an evacuation hospital, lived and worked in Belgium. The field where the tent hospital had existed was still a field, free of houses, and it was easy to imagine the set up. And the old chateau which had been somewhat ruined but provided shelter for the nurses, was still there. I had my photo taken on the same spot that my mother and father had their photo taken 74 years ago. These were surreal experiences I never would have found on my own. If it is in the records somewhere, Myra will find it and take you there. Such precious memories, and I loved having my child with me to experience those places, to pass it on to the next generation. I’ll always treasure that special trip with my husband, daughter, and son-in-law.